The strong and reliable action of the Winchester ® Model 1886 rifle was designed for the then new 45-70 Government cartridge, developed by the U.S. Government in 1873. In an ongoing effort to reintroduce various historical models of the venerable 1886, Winchester Repeating Arms proudly announces the Short Rifle model as a limited production run for 2011. 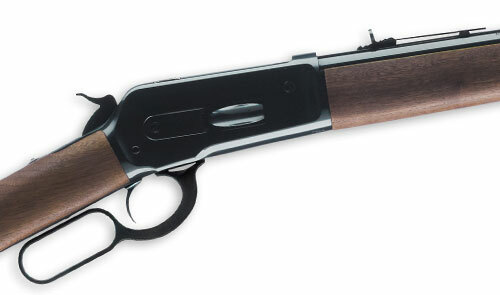 The new Model 1886 features a deeply-blued receiver, barrel and lever, along with a matching blued steel end cap and steel crescent buttplate. The stock is Grade 1 walnut with an elegant satin finish. The full-length tubular magazine holds six 45-70 Govt. cartridges. Each Model 1886 comes with an adjustable rear buckhorn style sight and a gold bead Marble Arms® front sight, giving the rifle a graceful profile. The receiver is also drilled and tapped to accommodate other receiver sights.